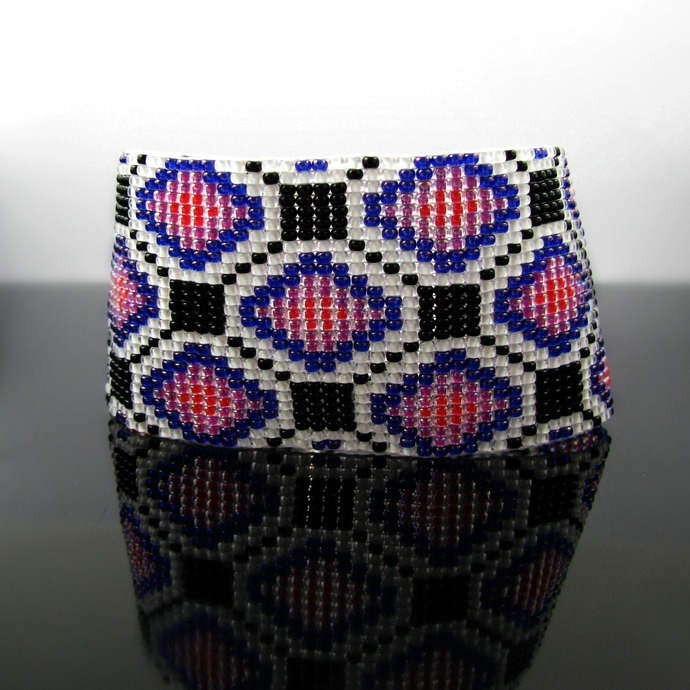 You read right, this cuff made on a bead loom from Miyuki seed beads was indeed inspired by a floor in an Indian house, at least the black and white part. This is one of the pattern variations I came up with and the first one to get realized. 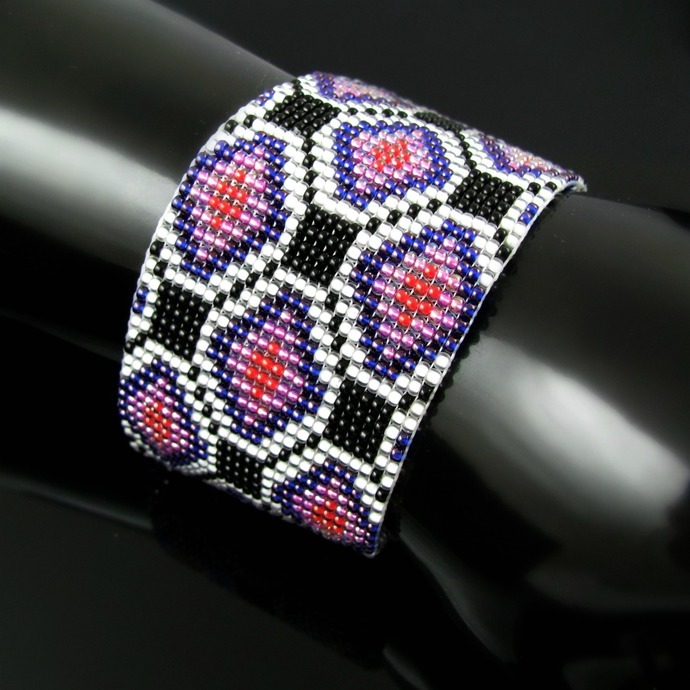 The diamonds done in a beautiful royal blue with raspberry and strawberry colors make for a great contrast. 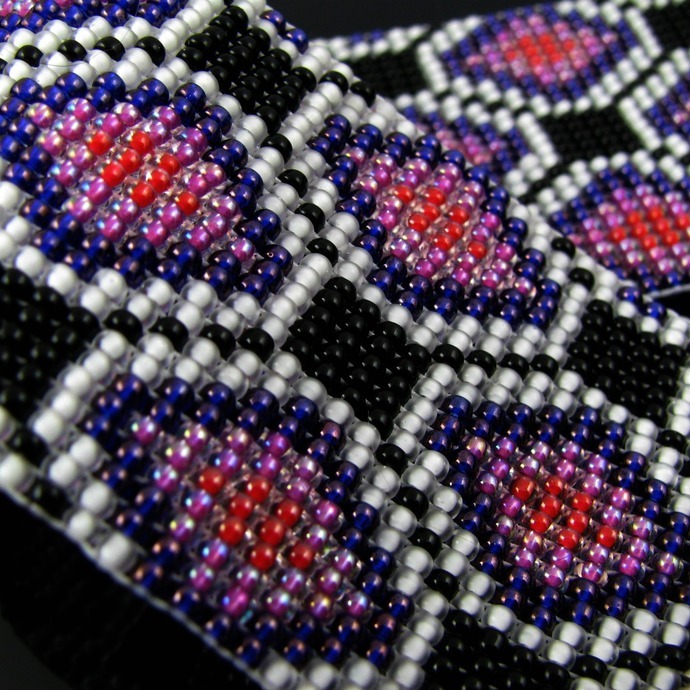 This cuff is 4 cm or 1 1/2 inch wide and 20 cm or 7 7/8 inch long. It is finished off with silver tone ribbon crimps, chain and a toggle clasp. In this case I did without an edging to let the pattern speak for itself. If you like the pattern, but need a different length or want me to use your favorite colors, send me a message! 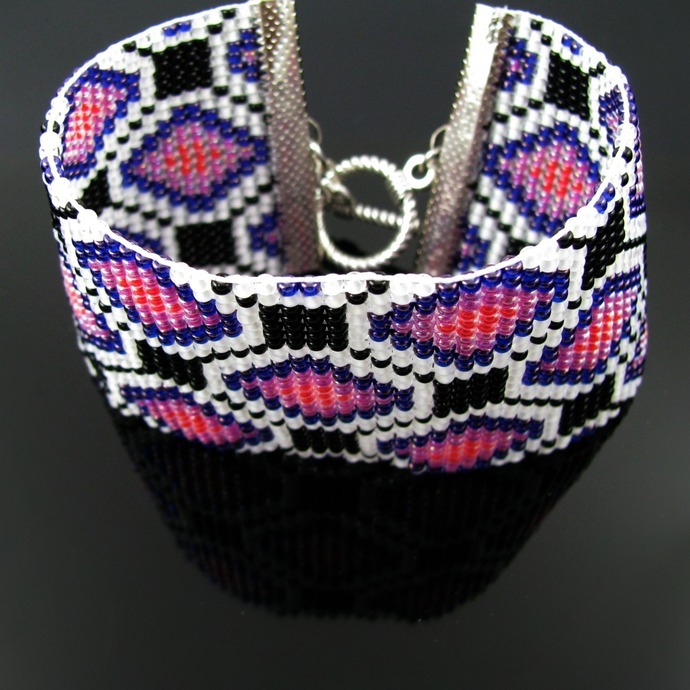 This bracelet is part of my "Rug and Floor" series, search "floor" in my shop if you'd like to see more.